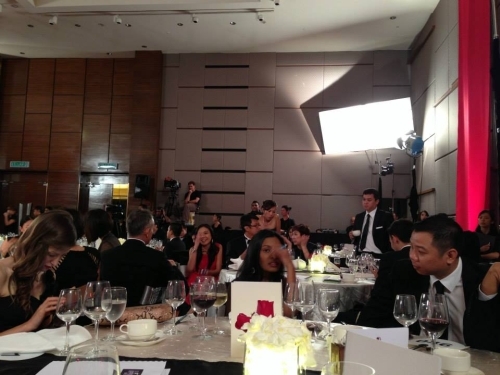 Celest Thoi @ The Finale of Apprentice:Asia! If you’re unfamiliar with the concept, The Apprentice is a reality game show which pits aspiring, dynamic, young businessmen and women against each other in a series of grueling tasks and challenges, all for the chance to work for American business magnate Donald Trump. Referred to as the “Ultimate Job Interview”, the series offers the opportunity for the winner to land a $250,000 contract to run one of Donald Trump’s companies (which is probably a dream come true for many ambitious people) Replace Donald Trump with Tony Fernandez, our own home-grown entrepreneur, and you’ve got The Apprentice: Asia! I had the opportunity to participate in Episode 7 of the series (enjoyably named “They Rap! They Beat-box! They Make Girls Cry!”), where I consulted participants from the competing team Mavericks on the design of the uniforms for AirAsia staff. It was a harrowing experience (read about it here!) but nonetheless, it was worth every moment of nerve-wracking stress! Here’s a snapshot of me rushing to complete an immense work order without collapsing along the way. 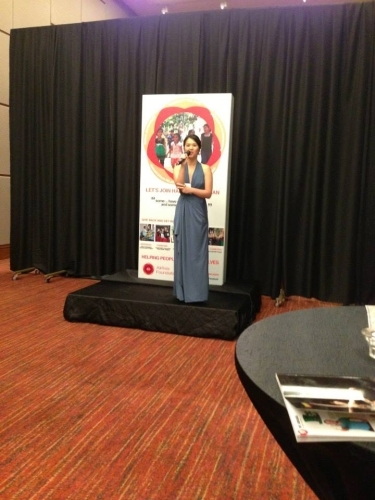 I had the privilege of attending the function, and boy, was it a glamorous one. The participants from the earlier episodes were there, and the opportunity for loads of photo-ops presented itself. A scene from the dinnerplace… Everyone is eagerly waiting for the event to start. 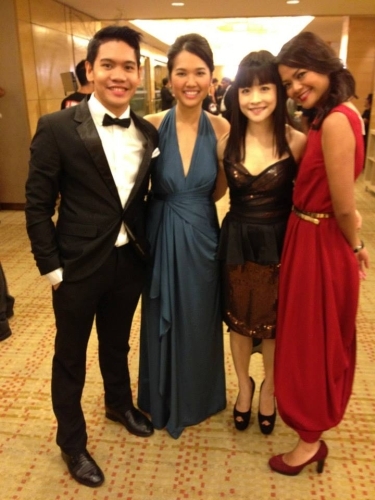 Jonathan, Andrea and Dian, dressed to the nines. With additional ladies to sweeten the picture! The auction items, on easels. Andrea in full swing! 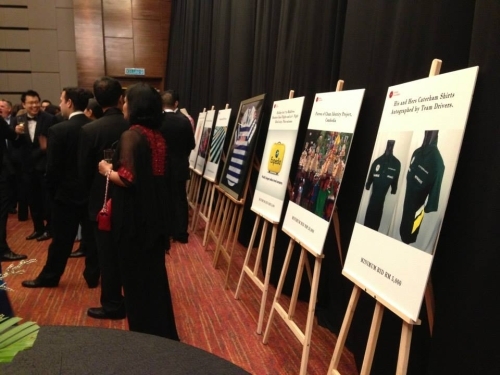 The entire auctioned raised a whopping total of RM1.3m for the Foundation. Well, for those who have been diligently following the series, you would know that Jonathan was chosen as the Apprentice (and for those who didn’t, now you do), and he was offered a six-figure salary to work in one of Tony’s companies. From here, what will become of him? Like Bill Rancic, the first Apprentice chosen by Donald Trump in 2004, would he continue to flourish and thrive in the industry? Only time will tell, but one thing is for certain; there’ll be an interesting future in store for this dynamic individual!